The U.S. health care system continues to shift toward value-based payment via such approaches as bundled payments. From a policy standpoint, Medicare continues to scale up voluntary bundled payment programs nationwide while entertaining re-introduction of mandatory bundled payment programs in the future. From a clinical standpoint, bundled payments are a particularly promising way to encourage primary care and specialty physicians to work together and coordinate care. While bundles have traditionally been viewed as an inpatient payment mechanism, its relevance to primary care and outpatient physicians is increasing under emerging Medicare policy (1). Under bundled payments, clinicians and organizations assume financial accountability for the quality and costs of discrete care episodes. Episodes are defined by a “trigger” event and span a predefined period. A common trigger in existing bundles is hospitalization for a given condition or procedure, with episodes spanning from hospital admission through 30 to 90 days of postdischarge care. Bundling joint replacement surgery episodes can reduce spending to Medicare without compromising quality, but early data do not demonstrate similar effects for medical condition episodes (e.g., heart failure). Long-term data are needed to definitively answer the question about the ultimate impact of bundled payments on different clinical conditions and procedures. However, a distinct but equally important question is whether policymakers have designed bundled payments to allow stakeholders to measure meaningful outcomes. Was the treatment (delivered within the episode of care) appropriate? Did the patient’s health improve? What did the treatment cost? The authors should be lauded for advancing the dialogue about how to measure what matters to patients. For example, they appropriately highlight the need to capture patient-reported outcome measures and quantify the effect of treatment on quality of life. They also correctly identify the need to measure costs, in particular costs to whom (patients, providers, and payers) across bundled payment episodes. However, the framework described in the article may raise more questions than it answers. For example, the authors note that one limitation of Medicare’s bundled payments for surgical procedures is that they “[do] not measure the appropriateness of surgery.” Although this is true, a question of feasibility remains. Take elective knee or hip joint replacement surgery as an example of a procedure heavily targeted by bundled payments. For patients with osteoarthritis, no universal criteria about when to pursue joint replacement versus conservative measures are available. Some patients may have severe arthritis by radiographic imaging but not report severe pain, whereas other patients may exhibit less severe disease but report greater pain. In addition, among patients with similar pain levels, some may choose to pursue joint replacement and others may forgo it and opt for nonsurgical interventions. Given the strong preference sensitivity of joint replacement surgery, it is challenging enough to determine appropriateness across patients in clinical settings. What would it require for Medicare or other payers to do so systematically, particularly through existing claims data infrastructure? 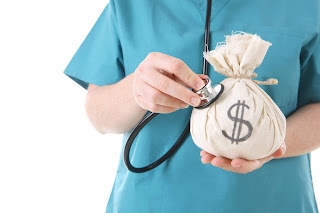 The authors also note that current bundled payment programs ignore diagnostic errors. Such errors do indeed represent a major issue in patient care under all payment approaches, but how Medicare or other stakeholders would identify errors across bundled conditions and procedures is unclear. One major challenge in addressing diagnostic errors, which are often most readily identified after the fact, and are more easily measured in some domains than others, is identifying them before they occur. Although it is hard to argue against encouraging diagnostic accuracy, how could that emphasis be operationalized within bundled payments? The authors of the Annals article recognize that more work is needed, noting that implementing their framework “will require advances in the science of measurement, more efficient methods for collecting data, and new investment.” However, more details are needed. For example, ideas beyond those mentioned in the article include shared decision making, which could be required before certain procedures to ensure that clinicians and patients discuss risks, benefits, and patient preferences. The Annals article concludes with an exhortation to make the investments “necessary to develop and implement these ‘measures that matter’ … because they will drive high-value innovations in diagnosis and therapy.” I agree, but I would add another point not addressed in the authors’ framework: Measuring what matters also involves viewing bundled payments (and really all payment reforms) through the lens of parity. Many procedures and conditions targeted by bundled payments are unfortunately marked by historical disparities in care, an issue that compounds efforts, such as evaluating appropriateness. For example, notable racial disparities in receipt of elective joint replacement surgery and discharge services after surgery suggest that a set of clinical criteria cannot fully address appropriateness for certain racial/ethnic minorities. To really capture what matters to patients—particularly the most vulnerable racially/ethnically, socioeconomically, or otherwise—we need more than just better science and data collection. We need to understand how bundled payments affect parity and design policies to maximize it. If we do that, our investments in the payment reform will not be worthwhile just because of diagnostic and therapeutic innovations, but also because of an arc toward equity.